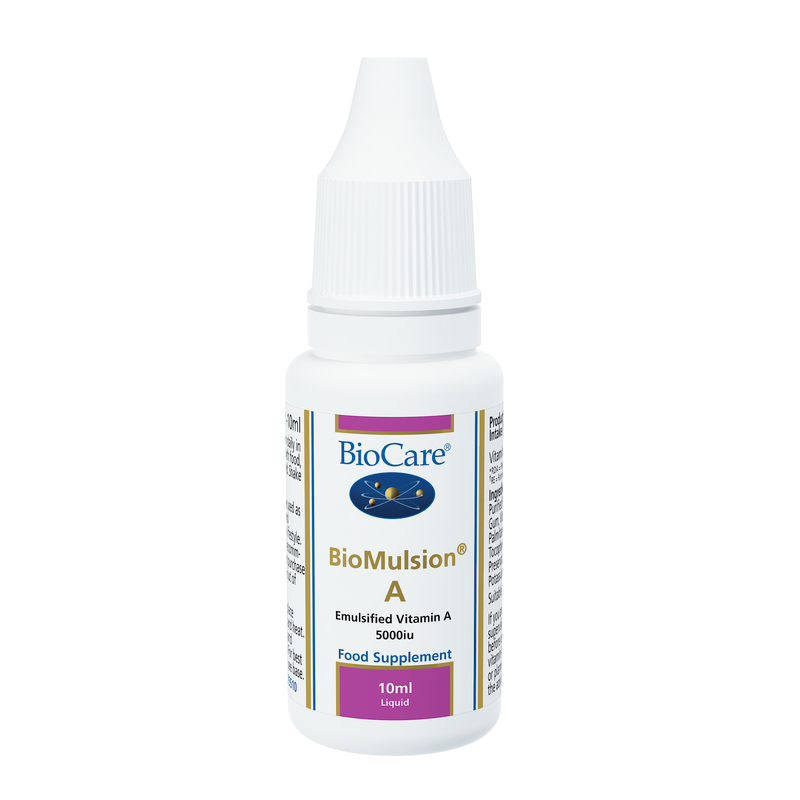 BioCare BioMulsion A. A liquid vitamin A health supplement to assist immune function & maintains healthy eyes, skin. Potent antioxidant activity. Emulsified for maximum absorption & superior bio-availability. BioMulsion A is a liquid vitamin A product that is emulsified for maximum absorption and superior bio-availability. Fat-soluble vitamins are hydrophobic, meaning that they do not readily dissolve in water, including the aqueous environment of the digestive tract. The body has a complex system of digestion to break down all fats using lipase and bile salts. Once oils have been broken down into smaller droplets with a larger surface area, they are more easily absorbed and utilised. The efficiency of this process can vary considerably depending on the condition of the digestive system. BioCare's emulsification technology involves pre-emulsifying the fat-soluble vitamin and dispersing it into a simple water-based, natural fruit flavoured liquid. This essentially pre-digests the nutrient, considerably increasing its availability for absorption. 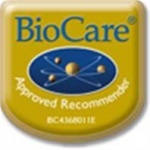 The BioCare BioMulsion range now raises the bar for clinically effective vitamins and sets a new gold standard for practitioners who value clinical effectiveness." Do not use in cases of vitamin hypersensitivity. Not suitable for individuals with kidney stones.